TEDxPatras 2018 is getting Elias Pavlopoulos onstage! The General Director of Médecins Sans Frontières – MSF Greece will discuss the challenge humanitarian values are facing due to contemporary wars. Whether it is the case of Afghanistan, Syria, Yemen or Central African Republic, an increase in extreme violence and violation of the International Humanitarian Law (IHL) are noticed. What is more, these practices and paradigms seem to be adopted by all sides in each conflict. Meanwhile, principles like independence, neutrality and impartiality that have been the core of humanitarian action for more than a century, are now being constantly targeted by governments and armed groups. Recalling the recent images of hospitals being bombed and indicating a growing lack of humanity, Elias Pavlopoulos is inviting the TEDxPatras 2018 audience to question and reflect. What is the role of values in a world where war has no rules? 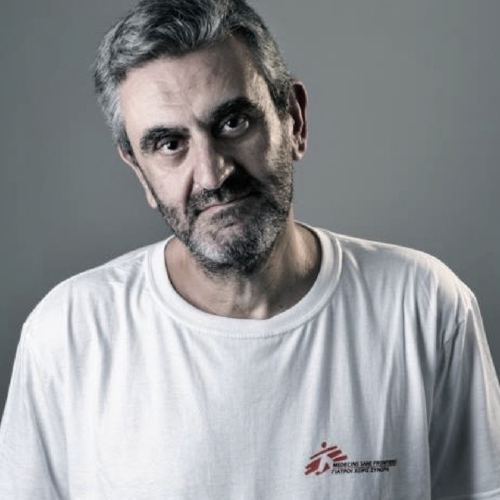 Elias Pavlopoulos is the General Director of Médecins Sans Frontières – MSF Greece from June of 2017. He studied Public Health in London and he received a Master of Bioethics from Harvard Medical School. At the same time, he collaborated as Researcher with Harvard-Chan School of Public Health around issues of ethics and public health. He has a vast experience in humanitarian missions with Doctors Without Borders / Médecins Sans Frontières (MSF) and Partners In Health (PIH). Over the past fourteen years, he has worked as Project Coordinator and Country Director in diverse environments around the world. In Myanmar, he led a multidisciplinary primary health care project fighting malaria and tuberculosis. In Darfur, he spearheaded the provision of health care in a conflict environment, and in Mozambique, he had the opportunity to participate in the battle against HIV and TB in a high prevalence urban setting. Recognising how important and complex it can prove to be to meet the needs of women and children in low resources settings, he also setup a maternal and child health project, in Cairo, Egypt, In Swaziland, he worked for three years to establish AIDS and Drug Resistant Tuberculosis projects through innovative approaches, and in Sierra Leone he worked to assist the Ebola response and recovery. His latest assignment was in Greece to support in the migration crisis.